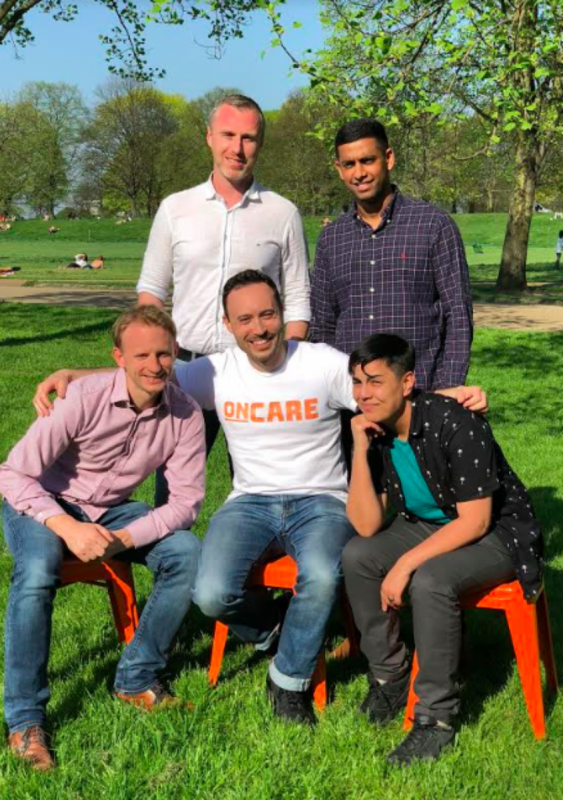 Headspace is no stranger to creative, tech and media start ups and we were very excited to welcome our newest Co Lab Member OnCare into the mix. OnCare make software for the social care sector, such as elderly care, care for people with learning disabilities, palliative care. Focusing on ‘domiciliary care’ where the client still lives in their own home, their mission is to make care easier in every way they can. Find out more about from OnCare founder Alistair Cohen below, how they started and aspirations in our #headspacestories interview. OnCare started as a project within the Founders Factory incubator, as a collaboration between Founders Factory and Aviva, looking at how to improve social care, an industry with a lot of money going into it, but hugely antiquated processes and technology, and one heading for collapse unless big changes are made. Against our software competitors, we’re really gaining traction because of our commitment to well-designed, easy-to-use, and critically low-cost software, that social care has been starved off thus far. However, compared to some other #caretech (if I say it enough it’ll become a thing) startups you may have heard of (SuperCarers, Vida, Cera, HomeTouch) we’re the only ones trying to create the ‘Zoopla for care’ or ‘OpenTable for care’ rather than the ‘Uber for care’. In other words, we’re working with current care providers to create our marketplace for care, rather than trying to cut them out and connect families directly to care workers which, for a number of reasons, doesn’t work well in a care situation. 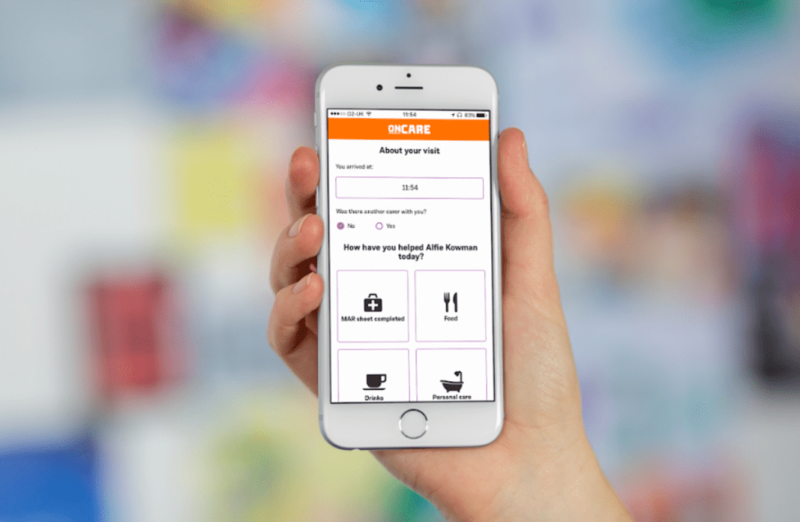 How does the app help domiciliary care? We help different people in the care ecosystem. We help the care workers to spend less time on paperwork, and more time learning about their clients needs and delivering great care. We help care agencies to save money and time by replacing pieces of paper that they have to store for at least 8 years, with digital tools that enable real time reporting and alerts. We help the clients to receive better, more personalised care; and we help the client’s family to stay closer to their loved one’s care through text message updates and access to reports. What advice do you have for app developers? We’ve had some really interesting challenges in having to develop our app to work ‘offline first’. Care workers often visit clients in remote parts of the country that don’t have any internet access, so we need all of the main functions to work offline, store data securely, and synchronise reliably when back online. Our CTO even wrote a Medium post all about it. What is the big plan for OnCare? As I mentioned we’re trying to create the future global marketplace for care by connecting families seeking care, with care providers in their area. 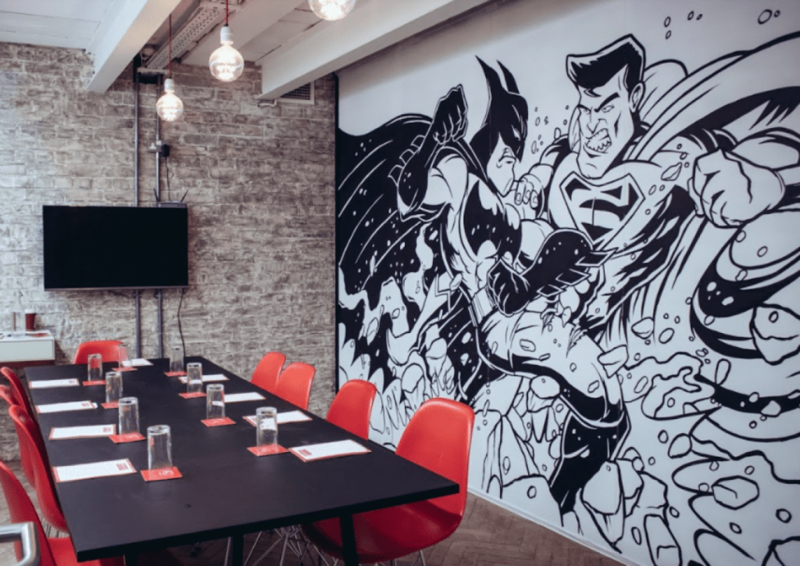 However, aside from my business aspirations, I want to make sure that we also change people’s poor perception of social care and help to uplift and support the sector and the superheroes that work within it. It’s why we donate 1% of our revenues to The Care Workers Charity and try to celebrate and help our customers wherever possible. What are you future concerns/ or predictions about Health Care / or technology? Its going to be really interesting to see the role that robotics plays in health and social care. Robots will never replace people in most health/social care roles, and in fact there may be a surge in people joining the social care sector as robots do fully cover jobs in other sectors. However, the tasks that humans complete may change, and the use of sensors and wearables may change the way we treat and monitor people. I’ve also been to some fascinating talks recently about how to tackle ‘ageing’ as a genetic disease, and ways in which we may also be able to almost choose from a menu of which disease we’d like to ultimately die from. A little morbid but fascinating nonetheless. How can Headspace and our wider community help you? Our main drivers this year are customers and product development. For customers, if you know anyone working for, connected to, or currently using a care agency, we want to talk to them! We need to get our software in the hands of as many people as possible that could benefit from it. With regard to product development, we’re hiring for a full stack software engineer and finding it really hard to find good people. If you, or anyone you know, are looking to work on some meaty tech challenges while also doing a bit of good for society, please come and speak to us. Who would win a fight between Spiderman and Batman? Spiderman (webbed) hands down. Batman is a moody rich guy who likes to dress up in leather – I mean, we’ve all been there but he’s not really a ‘super’ hero. Don’t even get me started on the Marvel/DC debate, I can already feel myself getting anxiety thinking about this! You’ve only been with us a short time, but so far whats your favourite things about Headspace Farringdon? Its got to be the yoga classes and the dog Nolah. The area of Farringdon has the best food options and transport connection. Beats our previous offices in High Street Kensington hands down. A big thank you to Alistair for being part of our #headspacestories and sharing their story. We are so delighted to welcome you and the team to Headspace. Headspace Properties Ltd. UK company no. 08213962. We just need a few details so that we can contact you about your tour. We just need a few details so that we can contact you about your event. View our latest space in Birmingham!